Sponsored by www.gatheringthevoices.com, a unique website of online oral testimony from refugees who sought sanctuary in Scotland to escape the racism of Nazi-dominated Europe. A wealthy nobleman, a popular aristocrat and a widowed, foreign, penniless convert. These three are all protagonists of the Book of Ruth and yet only one of them changes history – against the odds. How is it that Ruth, who appears so vulnerable and pitiful, who is so disadvantaged in multiple ways, stands out as the heroine of the book? Megillat Ruth begins by introducing us to one of the leaders of the Jewish community of that time, a philanthropist, Elimelech. The Midrash relates that he was capable of sustaining the entire generation. 1 However, when Israel is hit by famine; Elimelech relocates to the plains of Moab with his family. The wealthy leader would have been called on even more at this time of crisis, yet he shirks these responsibilities, leaving Israel and his nation behind. Later on, we meet the aristocrat Boaz, who is described as “a mighty man of valour,” 2 denoting his aristocratic background and moral stature. Not only does he provide for the poor, but is clearly sensitive to who is needy, noticing Ruth as the newcomer collecting in the field. When Ruth asks him, “why have I found favour in your eyes to acquaint yourself with me, especially considering that I am a foreigner?” 3 the contrast between him and Elimelech is accentuated, as Elimelech had failed to maintain his support of even his own brethren. 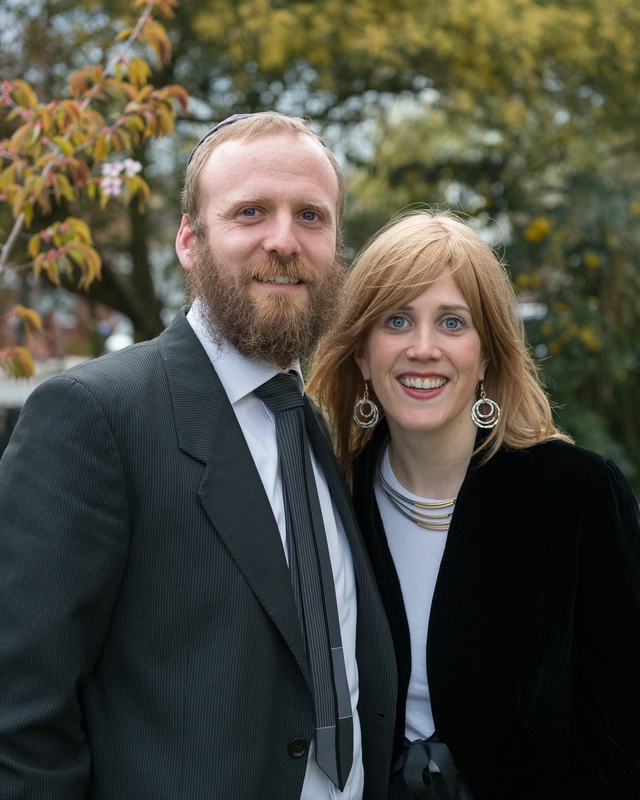 Rabbi Eli & Rebbetzin Lauren Levin are associate Rabbi & Rebbetzin at the popular South Hampstead Synagogue in London, UK. Lauren is also the Dean of the Judi Back Women’s Institute for Torah Studies and serves as Community Educator and Yoetzet Halachah at Finchley Synagogue, London, where she advises women on issues of women’s health and halachah. The Nazis forbid Polish Jews from traveling on trains. All Jews between the ages of 12 and 60 are sent to camps for re-education. All synagogues and houses of worship in Warsaw are closed. Jews may not travel by train between cities in Poland. Jews may not mail letters abroad. All Jewish-owned printing shops are closed. Jews may not enter parks, municipal areas and specified streets in the center of Warsaw and may not sit on public benches. Jews may not buy a German book. Pilsudski Square is renamed Hitler Square and is off-limits to Jews. Jewish doctors may not treat Polish patients and Polish doctors may not treat Jewish patients. Jews must step off the sidewalk upon seeing a uniformed or civilian German. 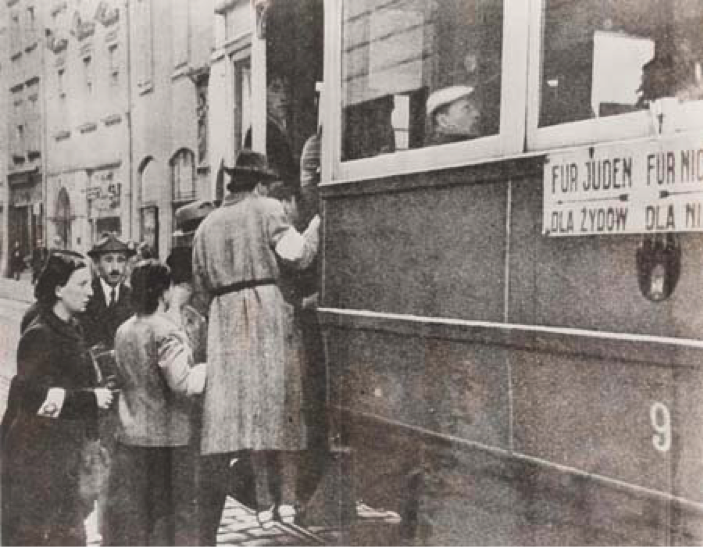 All Jews in Warsaw are transferred to the ghetto. All Jewish property found outside the ghetto walls is confiscated. 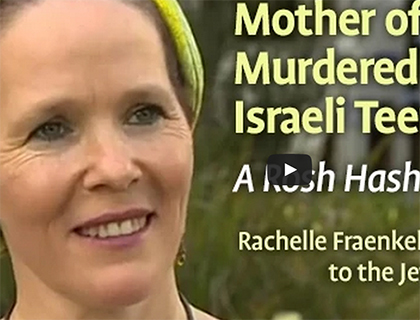 Mother of Naftali Frankel and her message Rosh Hashanah message.